Welcome to Med City Collision! Tom Wasmund and his wife Sue purchased the business in June of 2007 and are committed to providing quality craftsmanship and customer service to the people of Rochester and southeast Minnesota. 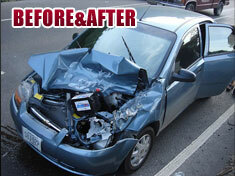 Tom has over two decades of experience in auto body repair and frame straightening. Med City Collision does not sell parts and accessories or perform standard maintenance on vehicles. Our ASE certified technicians are focused 100% on restoring your vehicle to showroom condition. They are collision specialists and because it’s all they do, you can be sure your vehicle will be repaired to factory standards with the highest quality workmanship. Whether you have had a collision or want to restore your vehicle to like-new condition, be sure to see us at Med City Collision. We are committed to providing the highest levels of craftsmanship, using state-of-the art equipment and materials and providing unmatched customer service.